You tend to find out how valuable something truly is after it's gone. 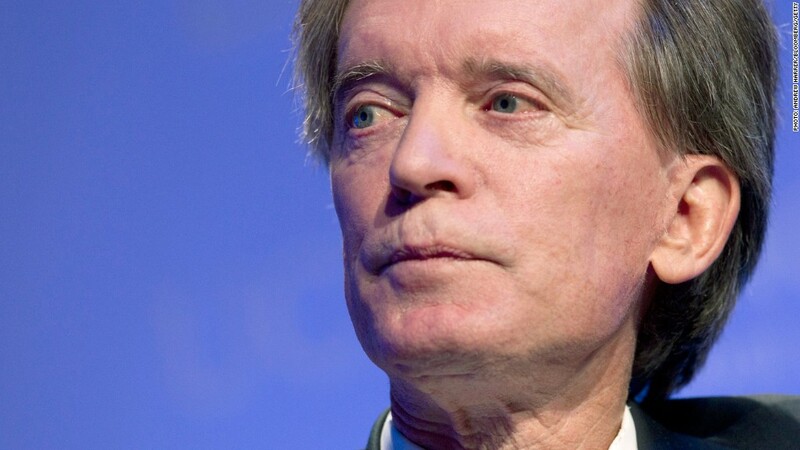 For investment house Pimco, losing "bond king" Bill Gross will likely cost the firm billions. According to Morgan Stanley (MS), investors could yank a whopping $400 billion of assets from Pimco following the surprise exit of Gross on Friday. Morgan Stanley based that huge figure on the 6% drop in the share price of Pimco parent Allianz (ALIZF). The investment bank said in a report Monday that implies a loss of around 20% of the Pimco's total assets. 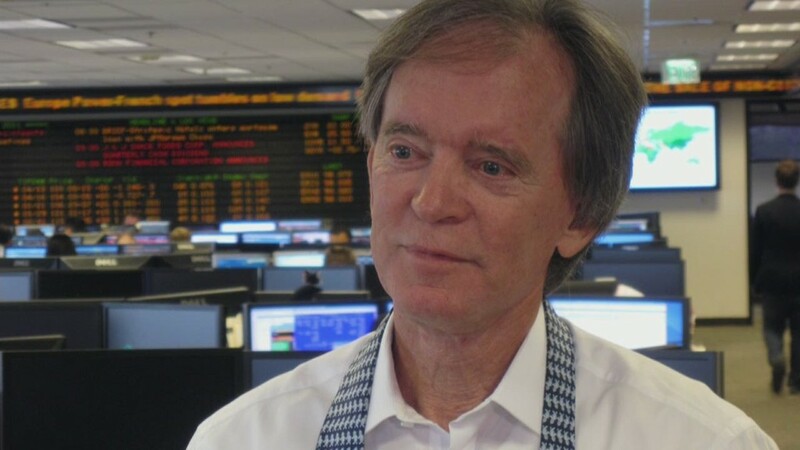 Pimco and Allianz executives scrambled over the weekend and on Monday to soothe nervous clients and analysts after Gross shocked the financial world by leaving the firm he founded in 1971 for Janus Capital (JNS). Gross directly managed about $300 billion of assets, although Morgan Stanley estimates he had "influence" over around $500 billion. "Bill was our CIO and of course had a large presence but the reason people choose us and ultimately will stay with us is our process and our performance," Pimco CEO Doug Hodge said on a conference call Monday morning. "I'm confident the vast majority of our clients will stay with us." Bracing for withdrawals: Pimco announced late Friday that the 70-year-old Gross will be succeeded by deputy chief investment officer Dan Ivascyn, who Morningstar named fixed-income manager of the year in 2013. While Hodge said Pimco expects high redemption rates in the early stage, he stressed the firm has "ample liquidity to respond to any clients' redemption or withdrawals." That means Pimco believes it can quickly convert assets to cash without hurting their value if more investors want to pull their investments. Pimco did not specify how much client money has flowed out the door in the wake of Gross's exit, but The Wall Street Journal reported it has already lost $10 billion of assets. Pimco did not respond to a request for comment on that report. Pimco said it has a track record of being able to handle outflows, including during the 2008 financial crisis and the so-called "taper tantrum" in 2013. The firm said it has experienced $70 billion of withdrawals over the last 16 months. Hodge noted Pimco invests in the most liquid corners of the fixed-income markets. For example, he said two-thirds of Pimco's flagship Total Return Fund is invested in the "highly liquid" Treasury and mortgage bond markets. Related: New owner for Shrek & DreamWorks Animation? Gross exit moves the bond market: The bond markets displayed concern on Friday that Pimco would be forced to unload assets to meet withdrawal requests, hurting their prices. "Treasuries felt the first round of pain, though credit spreads and illiquid asset classes were also impacted, proving how much a single person can move the markets," analysts from Janney Capital Markets wrote in a note on Monday. The price of 10-year Treasurys rose slightly on Monday as investors purchased the safe-haven asset following a morning sell-off in stocks. Not in the clear: Like the rest of the industry, Morningstar was caught off guard by Gross's departure. The firm put all of Pimco's 50 funds under review on Friday. After the promotion of Ivascyn, Morningstar said Pimco's funds are "on stable ground in terms of management expertise and research depth." Still, Morningstar warned: "By no means are Pimco or the funds in the clear." It's not just clients that Pimco needs to prevent from fleeing. Hodge said Pimco is actively exploring ways to boost its compensation program in an effort to keep and attract talent. Hodge emphasized Pimco's differences with Gross were not related to the firm's investment strategies. Instead, he said they were tied to the strategic direction of Pimco, style and media strategy. Hodge did not mention volatile behavior by Gross as a factor, although recent press reports indicate that was an issue.